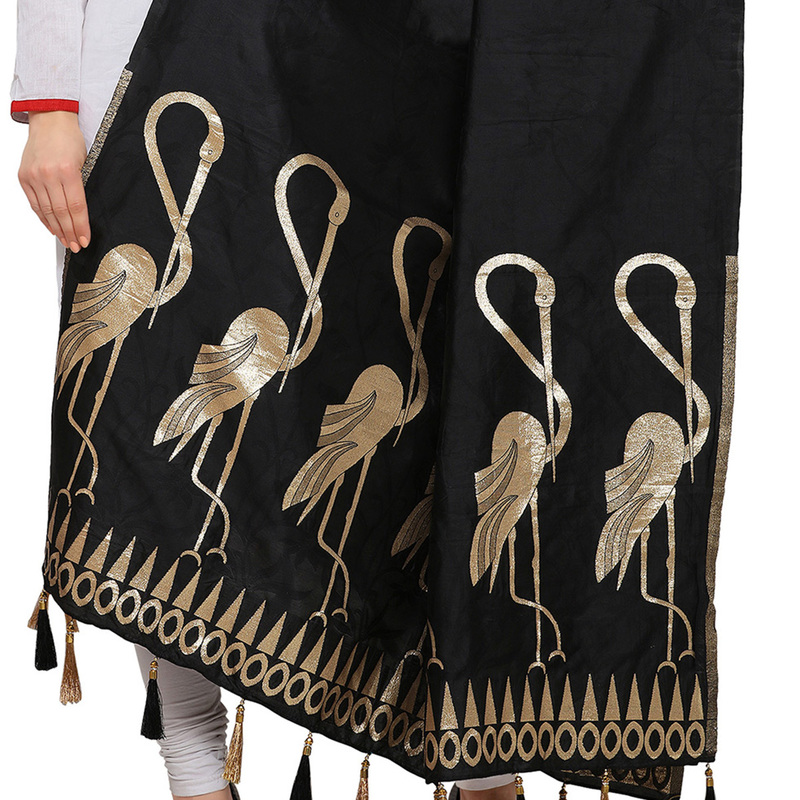 Designed with woven flamingo motifs this black banarasi silk dupatta will give your ethnic expressions a touch of timeless grace. Traditional temple border lends it a vibrant dimension while the tassel detail adds a playful touch. Pair it with a white kurta set and stilettos.